In a large crock pot add: Bloody Revolution mix, Lopez rub, and beef roast. Cover and set on low for 8-9hrs. When Beef is tender and shreds with ease, remove beef from crock pot and start to shred apart with tongs or forks; While shredding, ladle in leftover juices to keep barbacoa moist and add more flavor! 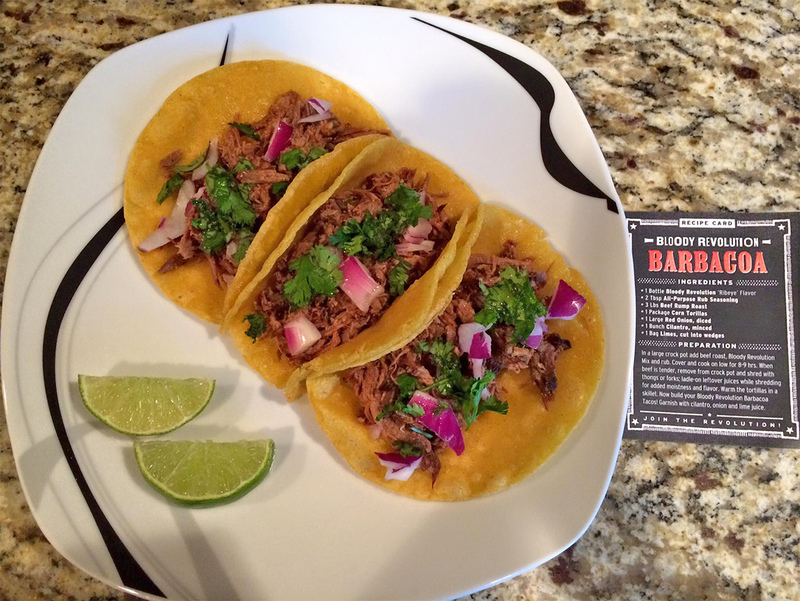 Warm your tortillas in a clean skillet and build your Bloody Revolution Barbacoa Taco (tortilla first, then barbacoa, next garnish with cilantro, red onion, and lime wedge).